Garden timber fencing comes in a wide range of styles, featheredge and closeboard, fence panels, trellis, post and rail, and screening to name just a few. After being in the fencing business for so long, Altas Fencing can supply and fit any and all types of fences available. The important thing is to decide what your fence is for. Is your fence there to simply mark the edge of your garden? Is your fence there to provide security or privacy? Are you looking for a sturdy fence to stand up to strong winds or keep animals in or out? Are you looking for something to make your garden look as good as it can be? Atlas Fencing will be able to help. Below is a brief overview of some of the different types of fencing that can be installed, and should help you decide which is the right fence for you. Please note this is just a small sample of the fencing we can install. 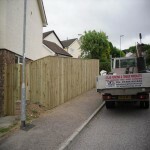 All fencing we provide is treated unless requested untreated. A traditional choice when it comes to fencing. A featheredge / closeboard fence can be both practical and decorative. Using three rails and thick posts (3 inch by 3 inch or 4 inch by 4 inch) on a fence up to 6 feet high means you will have a robust fence which will stand up to a great deal of punishment, as well as give you a great deal of privacy. Using various cappings and other finishing touches, a featheredge fence can also be quite decorative. Again another common choice, overlap fence panels come in various sizes and thicknesses and range from average to heavy duty. 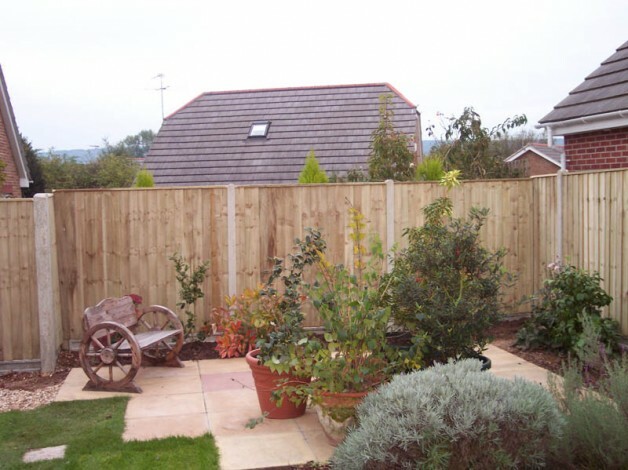 Like featheredge fencing, they will provide more privacy and security to your garden. Despite the extra cost involved, decorative fence panels are becoming more popular as people wish to make more of an impression in the garden. There are many styles available, from overlapped panels to more open trellis panels. When building fences like this, we make sure we select the best timber available, with the best build quality to make sure that your garden fence will last. More common in the front garden of a house, picket fences bring a more rustic feature to a garden. Although they do not provide a great deal of privacy or security, they are better at marking the boundary of your garden. They are also perfect for keeping smaller animals such as dogs within the confines of the garden. More common in the back garden, trellis panels provide an excellent frame for garden plants to climb up on. However they lack the sturdiness and privacy of other fence types. More suited to large farms and paddocks, post and rail fencing is very open, but incredibly sturdy. Mainly used by farms and horse riding stables. 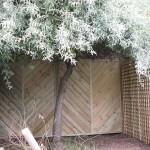 A fencing suitable for high wind areas which allow wind to travel through whilst giving good privacy. Various size boards will give an individual look for your Garden.